Finding Joy is all about one woman's success as an inventor and the importance of not separating your work life from your home life. As a single mother of three, Joy took her kids to business meetings, flew across the country with them to check on the status of her product manufacturing, and even to this day they all work together in the same company (along with her divorced parents and her ex-husband!). She makes it very clear that there is no “business” Joy and “mom” Joy, they are one and the same and they operate under the same values and they have the same dreams and priorities. After Joy and her husband got divorced, she was left with three kids to raise and support. When she got her idea for the Miracle Mop (a self-wringing mop unlike anything available at the time), she knew it was big and she knew that she had to make her dream a reality--not only for herself, but for the sake of her family. She faced obstacle after obstacle--from shady lawyers trying to steal her product, being told no one would buy it, being told she couldn’t sell it herself because “women don’t listen to women,” to losing her manufacturer with 60,000 orders to make--she exceeded all expectations people had of her and took down everything in her path. She emphasizes the importance of not taking no for answer if those you are dealing with don’t see what you see. When she was told by QVC that only a man could do infomercials and after which her product failed to sell, she marched into their offices and started doing the presentation how she knew it should have been done. As a way to shut her up and get her to leave, they told her she could do one infomercial herself, expecting her to fail and leave them alone. She did her commercial and sold out the product in eight minutes. Joy went from a single mom of three who barely made ends meet to holding over 100 patents and trademarks and having a net worth estimated at $50 million dollars. She smashed through the glass ceiling surrounding sales and inventing and went on to create $3 billion dollars worth of products. However, you don’t need to have your eye on creating billions of dollars worth of product like Joy did in order to find inspiration from her story. Her drive to go above and beyond, to do whatever it took, to not take ‘no’ for an answer because she believed in herself and her products so much, and to do it all with three young children by her side is enough to motivate anyone. I thoroughly enjoyed this book and somehow managed to get through it in two days, I just couldn’t put it down! I highly recommend it to anyone looking for a positive, feel-good story full of perseverance and inspiration. If you believe in what you are doing, don’t take no for an answer. Find a way to make it work and make people see what you see. Don’t separate what you do from who are. You core values and beliefs should run through everything you do. People say business isn’t personal so they can use that as an excuse to treat others poorly. Treat people with kindness and respect, have empathy, do your best, and never compromise who you are for the sake of work. Surround yourself with positive and supportive people. Joy could never have gotten to where she was without the encouragement and help from not only her family, but also her best friend, Ronni. If you want to read this book for yourself, find it on Amazon or check your local library! Disclaimer: Contains affiliate links. The books listed did not come out in 2017 but this is the year that I either purchased and read them or borrowed them from the library and read them. These are the ones that made it onto my favorites list! I've been an avid reader since I was a child and that hasn't changed as I've become an adult. Our house is filled with hundreds of books spread out on six different shelves (two bookshelves are just for kids books)! To say that I'm obsessed would be an understatement. One of the first things I did when I was pregnant with Wyatt was buy baby and kid books. We made monthly trips to Half Price Books (to my husbands great annoyance) and began filling shelves before our baby was even born. The following 10 books (five kids and five adult) are the ones that have really stuck out for me this past year. I hope you see something you haven't seen before and perhaps discover a new favorite for yourself! These two books are at the very top of my list! They are filled with magical rhymes and mythical creatures. The illustrations are absolutely beautiful and I can not recommend these highly enough. I was not raised to be particularly socially conscious, but as an adult it is very important to me. My son may not be old enough to understand yet, but books like this are and will continue to be a staple on our shelves. This book tells the story of segregation through a story and illustration that young kids can understand. 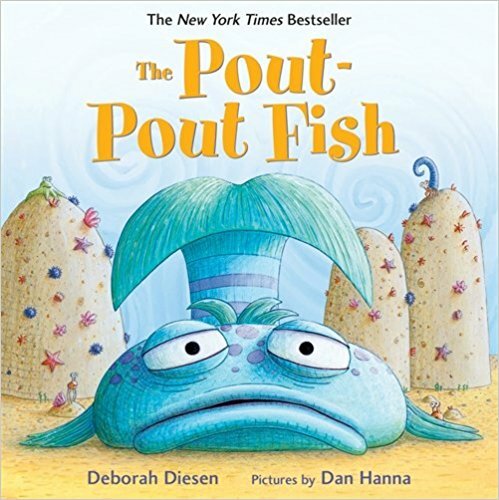 He's a pout-pout fish with a pout-pout face. The first time I read this book to Wyatt I laughed out loud at the story. The rhymes are silly and fun and you can't help but really get into the reading. The cute illustrations of the ocean scenes and the pouty main fish don't hurt either! This book is amazing! it's large with thick pages for little hands. Each page is filled with texture, cut outs and raised letters, and bright colors will keep your kids occupied and learning. Wyatt is a little young to be learning ABCs but he loves feeling all the different things on these pages! I originally bought this book as a gift for my husbands little sister who dreams of being a "sea turtle rescuer" and studying the ocean. After flipping through it before wrapping it up, I ended up buying a second copy for my own kid shelf. The book highlights 50 different women in the sciences and, alongside excellent illustrations, educates the next generation on these fascinating ladies. As I embarked on a new venture this year (Doing Business and Raising Babies! ), this book was a lifesaver. I originally checked out the ebook through my local library and it resonated with me so much, I ended up buying a copy for myself to mark up (yes, I mark pages) and even purchased a second copy for my husbands older sister who also started a new website this year. It is filled with wisdom and inspiration and I dare you to read through the whole thing without having a major epiphany! 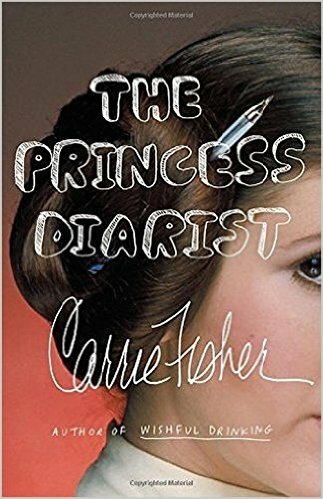 I always knew Carrie Fisher was an author but I didn't pick up one of her books until after her death. This book was raw and honest and funny and I highly recommend it to any Star Wars fan looking for a deeper glimpse into that world. I also read her book Wishful Drinking this year and loved it as well. Like Big Magic, I dare you to read this and not be hugely inspired. While some of it was a little out there for me, there was so much good advice that I really applied and learned from. Inspiring in a different way, Wild follows the story a woman on a mission to change her life after the death of her mother and a downward spiral into drugs and divorce. I will admit, I only became interested in reading this after watching the Gilmore Girls revival and just got around to reading it in November 2017. It was full of strength and humor and was heartbreaking and inspiring. I have a weird relationship with this book. I have never actually read it all the way through. It's one of those books that sits on my shelf and when I'm feeling lost, uninspired, or have hit a low point, I just pick it up and read a bit and it always has the right thing to say. It's very odd, I admit, but I highly recommend it. 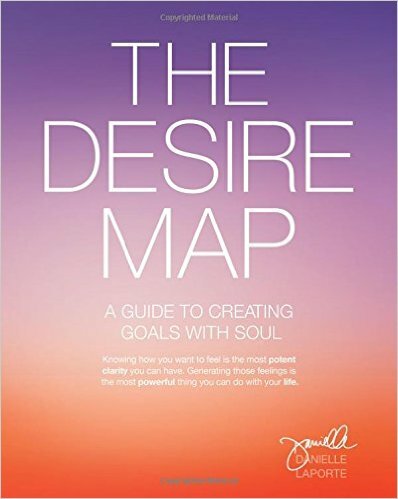 It's full of wisdom and inspiring messages and even has workbook type pages for you to use. I have had this book for four years and my copy is filled with pencil marks and highlight and sticky notes and I still have quite a ways to go. Highly recommend if you want to be challenged and inspired on a very deep level. It'll blow your mind, I promise.